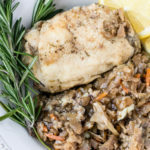 For busy weeknights, here’s an Easy Crockpot Chicken & Cabbage recipe that your family will love! It’s gluten-free and dairy-free, plus full of nourishing ingredients. Use my time-saving tips for a no-fuss dinner. I really don’t enjoy making weeknight dinners. Thanks for letting me get that confession off my chest. It’s funny because I’m a food blogger/health educator/nutrition specialist and my whole life essentially revolves around food, but I just don’t love making dinner. I guess it’s because I work so much during the day that come 5 pm, I am so not interested in starting a whole new project. I’m going to assume that, at least some days, this is you too. That’s where clean eating shortcuts come in handy, which can include everything from using pre-cut veggies to using appliances like the slow-cooker (this is the one I use the most). I will do pretty much anything to make getting dinner on the table easier (I did a whole podcast episode with my clean eating cooking techniques that you can listen to here). Also, you can see my how-to video for this chicken thigh recipe at the bottom of this post! Anywho, I now have three slow-cookers in my kitchen of varying size, along with two pressure cookers. The one I used for this recipe is my largest one, and it holds 6 quarts (you can get it here for less than $50). 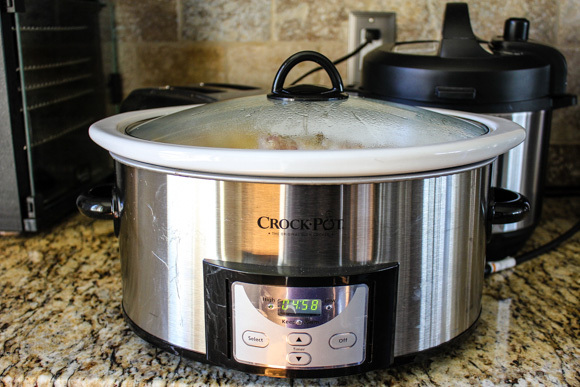 I love using slow-cookers for easy meals (see my other crockpot recipes here). My latest time-saving trick is to buy pre-made spice blends that are versatile and full of flavor. 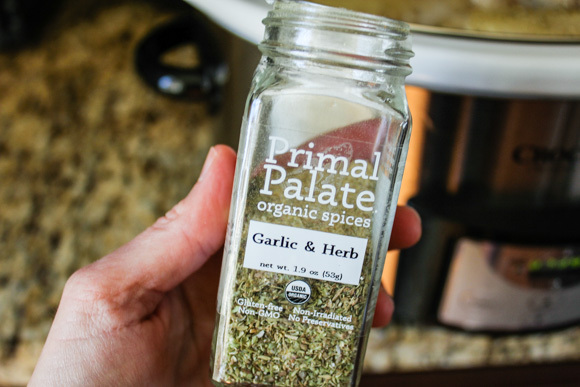 My favorite line is Primal Palate, and the one I’m loving is called Garlic & Herb (you can buy it here). The last time-saving tip I have for this particular recipe is to use the bagged, shredded cabbage and carrot blend and cauliflower rice that you can find at Trader Joe’s. If you don’t have a TJ’s near you (you have my deepest sympathies), then you can use any other brand of shredded cabbage or <gasp> just shred your own using a medium green or red cabbage. You can rice cauliflower on your own, too, you literally just put cauliflower florets in a food processor using the ‘S’ blade. But, I bought a 1-pound bag of cauliflower rice to make my life easy. This recipe is about easy! Once you’ve gotten everything together, you just layer the ingredients in your slow-cooker, pop on the lid, and let it do its magic. I’ll also note that you can use boneless or bone-in chicken thighs for this recipe. I used organic bone-in chicken thighs for the ultimate in flavor. Just remember to remove the bone before serving. This recipe is paleo, gluten-free, grain-free, and perfect for Whole30 diets too! Dinner without fuss or muss is magic in my book. Throw on a lemon slice and rosemary sprig and your friends, family, and blog readers will think so, too. If you like having carbs with dinner (I do, they help me sleep through the night), then I suggest serving this dish with some sticky rice or roasted potatoes. If you serve it as written, then it’s a grain-free, low-carb dish! Also, please use the highest quality chicken you can find. In my mind, that means free-range, organic, and responsibly raised. An easy slow-cooker meal for busy weeknights. Heat 1 teaspoon of avocado or olive oil in a large skillet over medium heat. Saute the chicken thighs for 2-3 minutes per side, turning once to brown lightly on each side. Place the shredded cabbage mixture in the bottom of a large slow-cooker (at least 6 quarts). Add the cauliflower rice on top. Next, place the chicken thighs on top of the vegetables and add the bone broth and Garlic & Herb spice blend. Cover the slow-cooker with the lid and set to cook on high for at least 6 hours (or up to 8 hours). Serve the chicken and veggies with a wedge of lemon and salt and pepper, to taste. Remove the bone before consuming. Serve this dish with cooked rice or roasted potatoes, if you like. 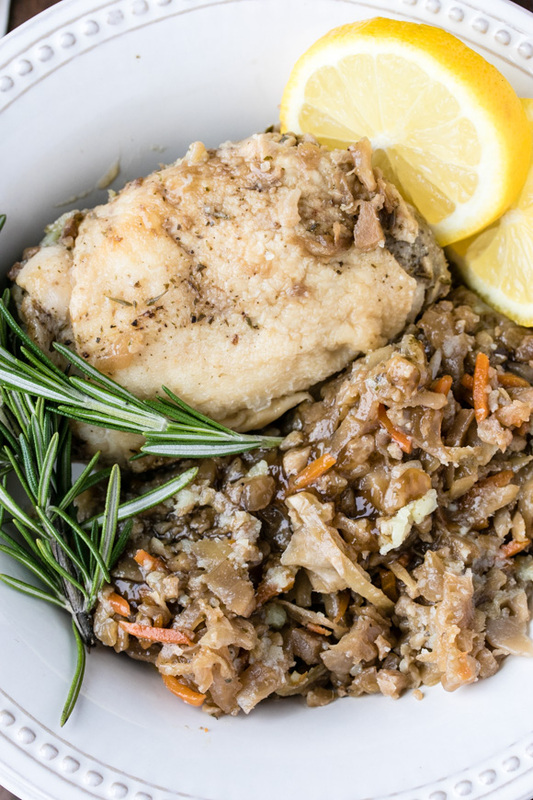 Pin this easy crockpot chicken dinner recipe to your favorite Pinterest board. This recipe is Whole30 and paleo diet friendly! I go through phases where I can’t even deal with thinking of making dinner at the end of the day. This is a great way to get it done, and keep it healthy! So perfect to have an easy to make dinner without losing any of the fantastic flavor! Who doesn’t love a great crockpot dinner recipe? No one, that’s who! I love chicken and cabbage together! This sounds like a good one! We can’t have too many recipes for simple, clean eating weeknight dinners! Thank you for sharing yours. 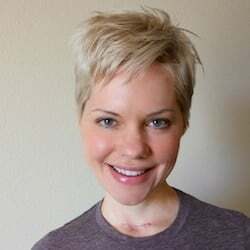 I’ve just looked up your podcast and will give it a listen! Love having an easy low carb meal option for busy nights. This looks delicious! 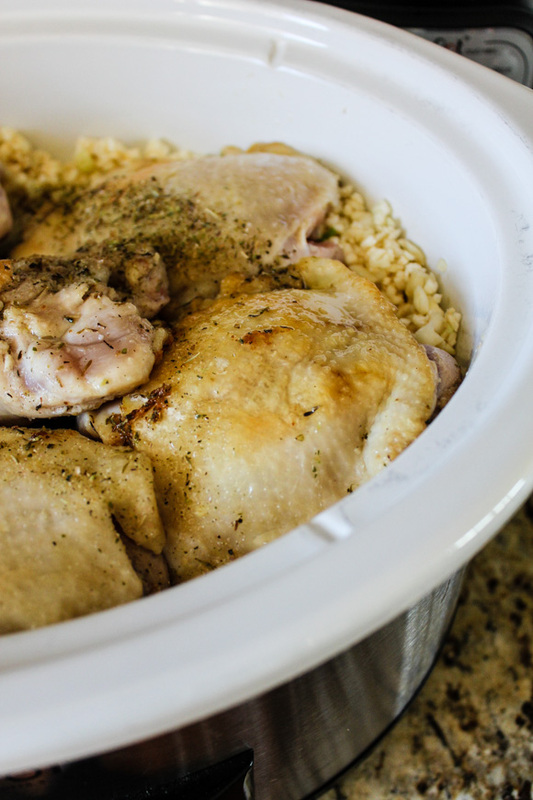 Easy crock pot chicken is a real food recipe just like what we enjoy nightly. I like your veggie side dish too. I love easy nourishing food that I can make ahead of time. Thank you! Perfect weeknight dinner! Thanks for the great idea! Love that you can make an entire meal in the slow cooker! Those chicken thighs looks super flavorful. I bet with the chicken cooking on top…the flavor of veggies is fab!! Simple, easy, and sounds great! Skin-on thighs are my favorite part of the chicken! Give me that dark meat every time! Love how easy this is! Right?! I am all about the dark meat too, Lindsey. XOXO. 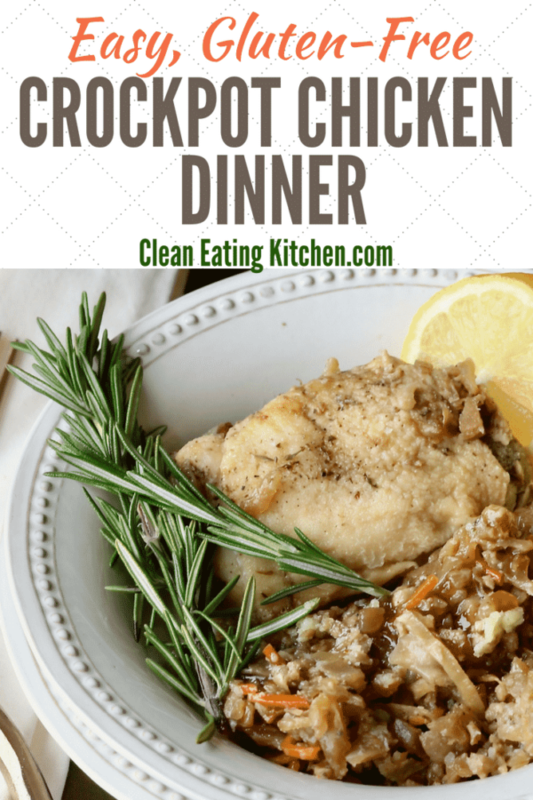 Chicken thighs and crock pots are a great combo! Convenience and yumminess! All hail the crockpot! Seriously I am all about every single ingredient here. I could eat cabbage daily but my husband won’t support that. Lol. Fantastic and easy meal!! Carrie, this is EXACTLY the kind of meal I love to make for weeknights too. What a wonderful, simple recipe, I am saving this to make next week! I am so glad I found this delicious and easy chicken recipe! 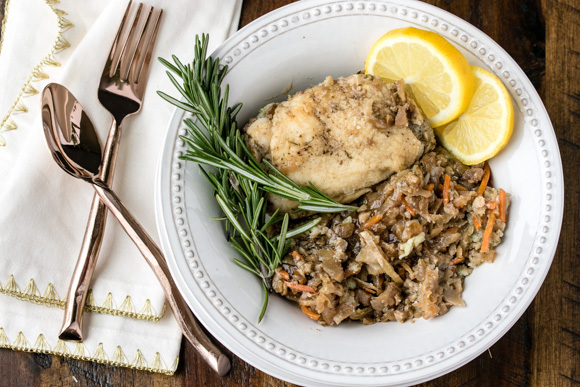 I love chicken cooked with cabbage and always need new dinner inspiration. Especially dinners loaded with veggies… thank you!!! 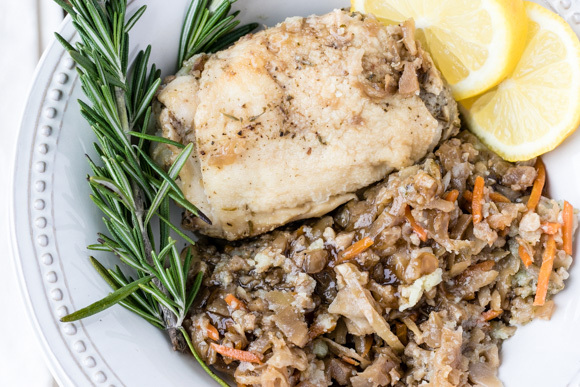 Chicken thighs and cabbage is a flavorful and absolutely delicious combo. I am impressed you have 3 slow cookers and what, 2 pressure cookers? Fantastic !